Literary Lindsey: Bittersweet and We Were Liars: The Same Book? As I read Bittersweet in October, I was struck by a lot of similarities between that book and the YA summer juggernaut We Were Liars. Both feature families who have a long history of luxury and prestige.The stories take place during the summer when aunts and uncles, grandparents and cousins descend onto giant and opulent estates; expecting that their every whim will be met. Both the Sinclair and the Winslow families have dark secrets that come to light. So is it worth it reading both books or is one a better read than the other? The protagonists in these novel are similar in age - Cady is a high school student and Mabel is a freshman in college. But they are very different people. Cady is a member of the charmed Sinclair family and while there may be family disputes, she knows that she will be provided for by her grandfather's fortune. Mabel, on the other hand, has a family that owns a dry cleaning business and struggles to make ends meet. When she meets the carefree and enigmatic heiress to the Winslow family, Mabel is astounded that Genevra considers her a friend. While both girls have to come to terms with big secrets, Cady will have to confront the decisions of her past while Mabel has to make big choices about her future. The two stories are very different in tone as well. We Were Liars reads like a young adult book, with a consistent focus on Cady and what she is feeling. Cady is prone to hyperbole and it may take readers by surprise when she says she was shot but really means that her heart was broken. Bittersweet is a more grown-up story with frequent allusions to Shakespeare and Milton. That doesn't mean that it feels highbrow though. 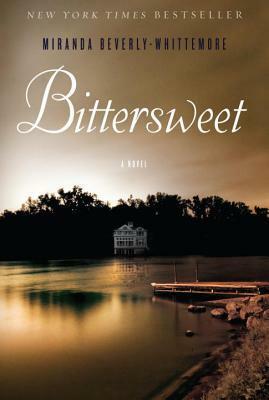 Bittersweet feels like a soap opera in places with forbidden romance, mysterious deaths, and a race to find the truth about the family's history. Bittersweet is a somewhat traditional thriller while We Were Liars is slightly more experimental. Both books are compelling reads as the characters grapple with truth, love, and commitment to their families. Each of them will make you consider the power and limits of wealth and prestige and what kind of legacy we pass on to those who will come after us. Have you read either book? Did you read both? What do you think? I loved We Were Liars simply because Cady was a fantastic unreliable narrator. So it was a heck of a ride. Interesting, but I'm sure just a coincidence. However it probably took away some of the pleasure as you went through the second book, feeling a been there, done that vibe. Which book did you like better? I liked them both but I think I would have found both of them less interesting if I read them closer together. The writing styles are very different but the general story is so similar! I have not read either, but will look into reading them down the road. I need to save to my Good Reads list. I like the sound of We Were Liars the best. I love YA suspense and family mysteries. Excellent! I sort of gave up on my Goodreads tbr list. For some reason, I really enjoy my gigantic Word document. Go figure! See, I'm the opposite of the other commenters here. 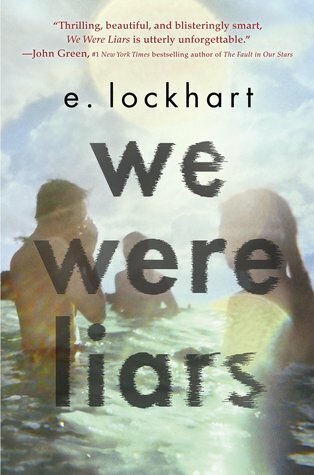 I actively loathed WE WERE LIARS, so learning that Bittersweet is similar to it in any way automatically turns me off. But thanks for putting together this dual post! Haha, I remember reading that you didn't like it! I just found it interesting that two books published in the same year had so much in common. I quite enjoyed We Were Liars, although I do feel like it was a little over hyped - all personal opinion eh. I do keep encountering Bittersweet so perhaps I should get round to reading it, especially seen as most of what I've heard has been purely positive. Thanks for sharing, love the comparison of two books. I agree! We Were Liars definitely suffered from too much hype.